Like the 80's, I’m Baaaaack! Whew! I have to thank my co-bloggers for being such good sports. I caged myself in our attic for an academic hiatus because as we all know—school comes first. But, now I’m back. 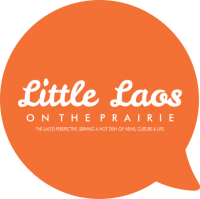 So much has happened since I have been gone—developments of Little Mekong, Thanksgiving, the makings of a Lao anthology, snow, & a Lao-American Miss Minnesota—all on the prairie! Yes, we are making waves one Lao at a time. As I look back and see how far we’ve come I am reminded of a list of families I found in the University of Minnesota’s Immigration History Research Center—or, as I like to call it, the IHRC. 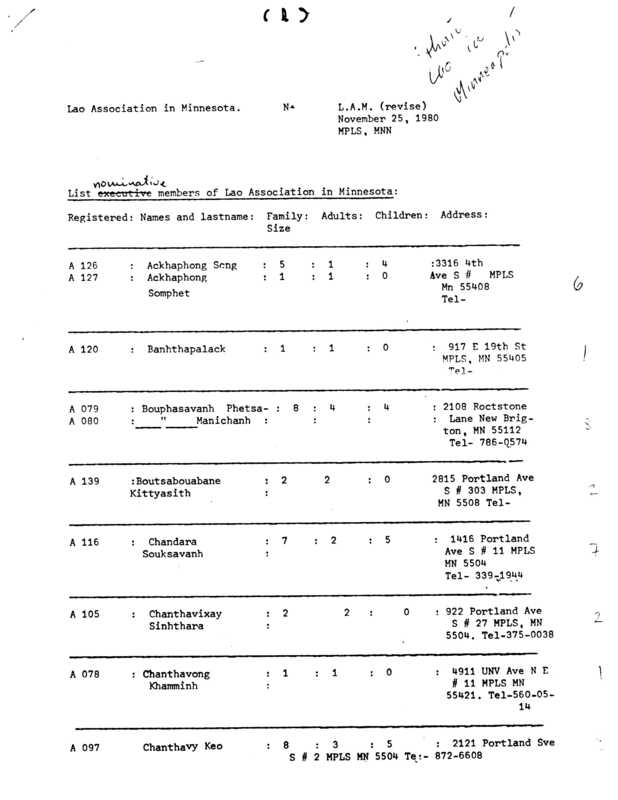 Anyway, what I had found may have been a list of what was the first “Lao Association” in Minnesota. It is dated Nov. 25, 1980 (over 30 years ago! ), however, as I read on I come to find out that the organization was certified by the State of Minnesota as of Nov. 1, 1978. The document itself appears to be a list of new officers for the year 1980-81 and its members and their families. What’s more is that I find on this list my own family (pre-Yours Truly). I was amazed to find something with my family’s name on it in a library collection. Although slim and limited, the information in the IHRC could be the start of some amazing history research for our Lao community. Among other things I found newspaper articles about Lao families in rural Minnesota, case studies with Lao individuals and their story about their passage to the US—what’s missing are photos and oral histories and about 33 years of history. Finding this document was the start of my inquiry of the “who-how-when-where-why” question of being Lao-American. This is precisely the reason why I wanted to start Little Laos on the Prairie—to document our very existence and to mark our place in every history book that claims to be American history. We’ve been here at least since 1978 as an established community so I know there’s a 33 year-old treasure buried here somewhere on the prairie. We just gotta start digging.